Breast surgery is increasing in popularity. Breast augmentation with implants, breast lifts, breast reductions and even corrective breast surgery are all on the rise. With the media attention regarding plastic surgery and social pressure, you, too, might be considering some form of breast procedure. But it is important to consider a few things before diving into a breast surgery procedure. Here are our to 5 questions you should ask yourself before seeking out a plastic surgeon. 1: Why are you considering plastic surgery? While this might seem like an obvious question, it is surprising how many people don’t know how to answer it when asked. Breast surgery is not a minor procedure so your decision to undergo it should be clear. Ask yourself what it is you are aiming for. Is it to enhance your existing shape and features? Are you looking to boost your confidence? Do you want a more balanced physique? Perhaps you want added cleavage to wear certain modern fashion styles? Above all of this, you should be considering plastic surgery and breast surgery only because you want to do it. Never undergo plastic surgery for others or what you think others would want you to do. You are the one who must live in your body, you are in charge. 2: What do you hope to achieve with breast surgery? It is very important to have realistic expectations when it comes to plastic surgery and understand what surgery can and cannot achieve. There is no such thing as perfection, even with breast surgery. All breasts have some level of natural asymmetry and even after surgery there will still be a slight difference. Make sure you discuss your desires and ideas with your plastic surgeon, in detail, so they can properly advise you on what you can expect from your breast surgery procedure. 3: Are you really prepared for the reality of post-op? The post-operative period after any procedure can be a trying time and breast surgery is no different. It can be especially difficult if your expectations have been mismanaged by yourself, your friends, or an inexperienced surgeon. You will need to allow yourself time to heal and realise that your breasts need 6-12 months to finally settle into their proper place, with no more bruising or swelling. Breast surgery is not a case of simply walking in and out, you will need at least two weeks off work and longer before you can return to rigorous activity. Make sure you’re prepared to take things easy and to give your body the best chance to heal. 4: Are you prepared for follow up procedures or implant replacement? As we age, we slowly lose the fight between skin elasticity and gravity. Your breast lift may need to be done after pregnancy or weight loss. If you get implants, it is important to remember that they have a lifespan and may need replacing every ten years, at least. You must be prepared to face future surgeries to maintain your look. You have several options from upsizing to downsizing your implants or removing them altogether, lifting drooping breasts, or reconstructing your breasts with your own tissue and body fat. 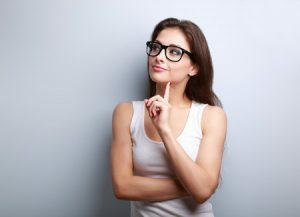 If you are after a one-time procedure, it might be best to consider breast surgeries that do not involve augmentation. 5: Can you really afford breast surgery? It is important to look at your living situation and honestly ask yourself if you can afford to undergo plastic surgery. Plastic surgeons are not financial advisors, we can only guide you when it comes to the best type of surgery for your desires. So it pays to be honest with yourself. Are you struggling to pay your rent? Do you have a credit card (or cards) past due? Can you pay your utility bills? If you answered “Yes” to any of the above, then surgery is not right for you. Be honest with what you can and cannot afford. Just because you can’t afford surgery now, doesn’t mean you can’t pursue it in the future. It also pays to look into Medicare and your health insurance policies. Some plastic surgery procedures are covered – or partly covered – by Medicare or health insurance. For example, Medicare will help cover the cost of breast reconstruction if you have had a mastectomy due to breast cancer. Any type of plastic surgery, whether it be breast surgery or other procedures, should not be taken lightly. It is important you sit back and consider every aspect of breast surgery before proceeding. And, above all, always make decisions for yourself! It is your body and you are the one in charge. So take charge and do what will make you feel good. For more information on the breast surgery options offered by Dr. Drielsma, please click here!